I had a pound of leftover lobster meat (I know, I know…how could you ever have leftover lobster?!) So I wrapped it tightly and kept it frozen. 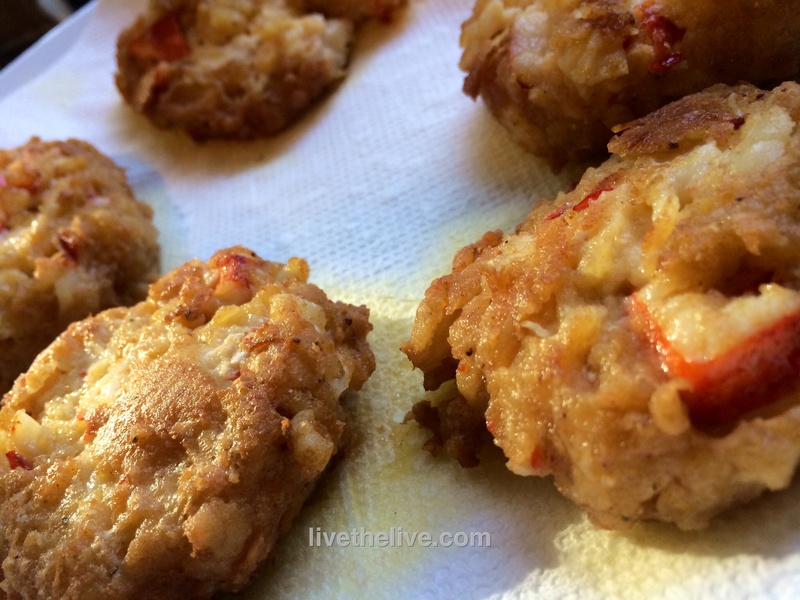 When I had a craving for crab cakes, I figured I’d try my recipe out with lobster instead. So good, I sprained my arm patting myself on the back! In a bowl, combine the mayo, mustard and the Old Bay Seasoning. Chop the lobster into small pieces and add it to the mayo/mustard mix. Pulse the crackers in a food processor until it resembles oatmeal. Add it to the bowl and gently combine the ingredients. Form small patties. I use either a small beef slider mold or the lid from a small mouth Mason jar. I won’t kid you: it gets messy, but it’s worth it! Place the patties on a sheet pan lined with Reynold’s non-stick aluminum foil. 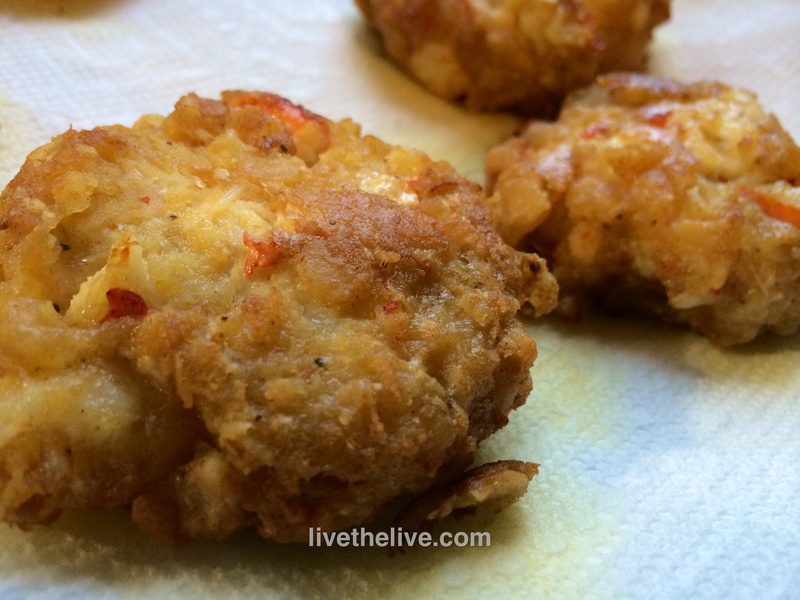 Place the sheet pan in the freezer for about 15 minutes to stiffen up the patties. Heat some olive oil in a pan. Cook the patties on both sides until golden brown.